Now that it’s starting to get cold outside, it’s finally socially acceptable to start getting excited about winter. 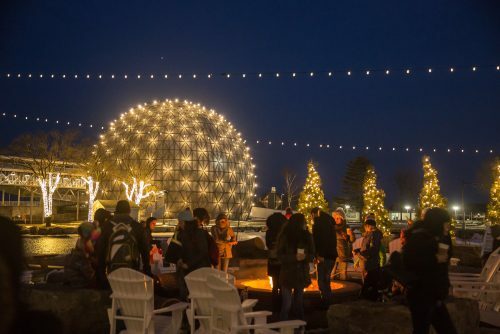 And following last year’s successful inaugural winter program, Ontario Place will once again come alive this winter season. Running from November 23 to March 17, the West Island of Ontario Place will be home to the Winter Light Exhibition, free public skating on a synthetic rink and community bonfires. This year, visitors can also look forward to a series of DJ nights at the iconic waterfront venue and bring a range of beloved films to Cinesphere. Explore the creativity and innovation of 18 light exhibits that shape, transmit, reflect or contain light, created by artists from across Ontario. The theme this year is Disruptive Engagement, challenging the creator and user to contemplate light, or the lack thereof, in the context of winter landscape. 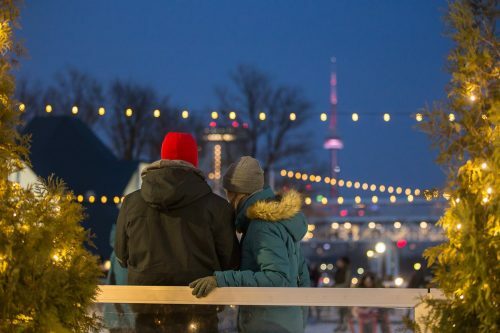 Skate the night away with friends and family while resident DJs spin tunes for visitors of all ages amid a picturesque winter setting. Limited-time screenings include Back to the Future (1985), Ghostbusters (1984), Alien (1979), Aliens (1986), Blade Runner: The Final Cut (2007), Blade Runner 2049: The IMAX Experience (2017), The Fifth Element (1997), Die Hard (1998), Guardians of the Galaxy : An IMAX 3D Experience (2014), and The Incredibles 2 : The IMAX Experience (2018). A synthetic skate rink will be open to the public all winter long. 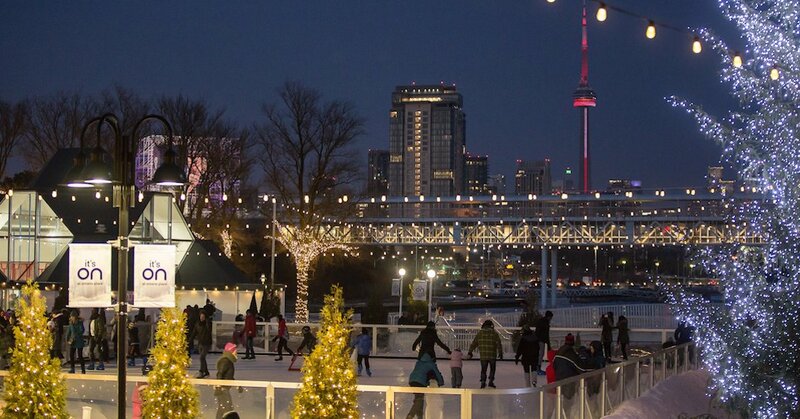 On-site services include skate rentals, concessions, Beaver Tails food truck and site-wide music. Cozy up at the bonfire while sipping hot chocolate and roasting marshmallows. Over 100 trees wrapped in fairy lights throughout the West Island pathways cast a warm glow over visitors as they explore the West Island.